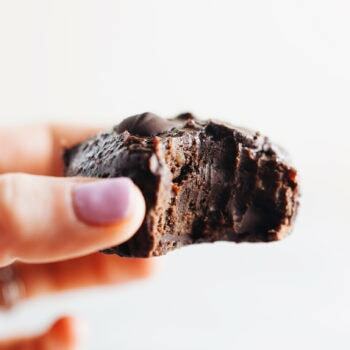 Flourless chocolate muffins made with no refined sugar, no flour, and are so fudge-y and decadent! The perfect guilt-free dessert. 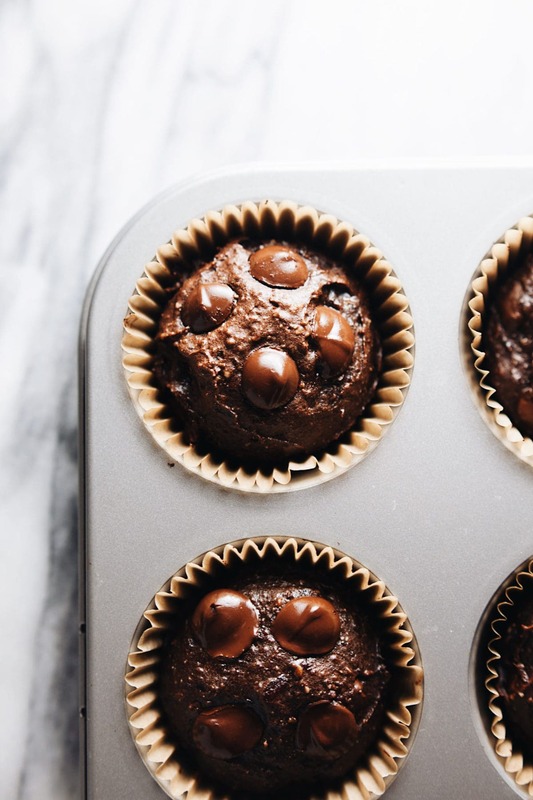 Can we just talk about these ULTRA Fudge-y Flourless Chocolate Muffins? They are unreal. 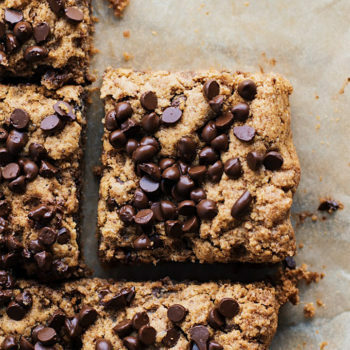 If you are anything like myself, and enjoy a dessert that’s rich, decadent, but made with healthy ingredients and no added sugar – THIS is where it’s at. 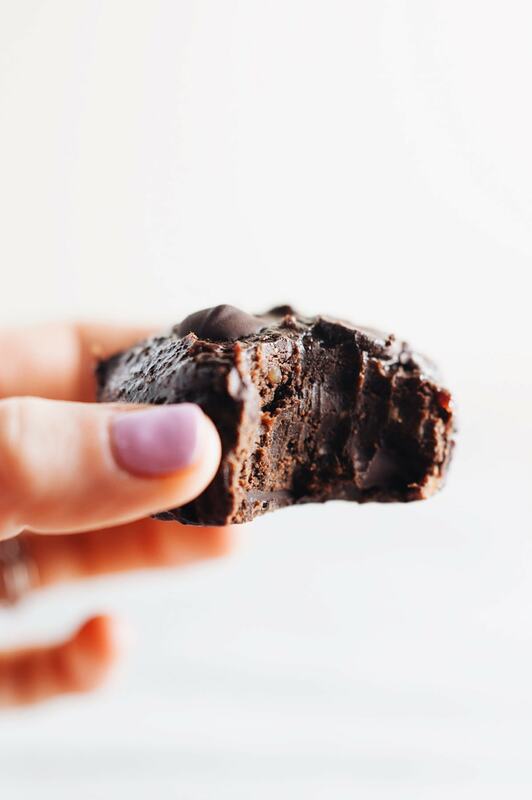 These fudge-y delights are made of dates + nut butter + chocolate + eggs. SRSLY. 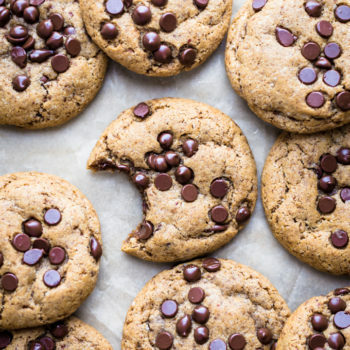 Real food ingredients that are satisfying, and a yummy guilt-free dessert! I’ve recently been on a kick to make “healthier” dessert recipes. I figured since it’s still the beginning of the year that we can keep things on the wholesome side (but still yummy). I recently made Healthy Breakfast Mini Pies and Healthy Peanut Butter Protein Cookies – both are DELICIOUS and show that you can make yummy + satisfying treats made with wholesome ingredients. These flourless chocolate muffins are no different. 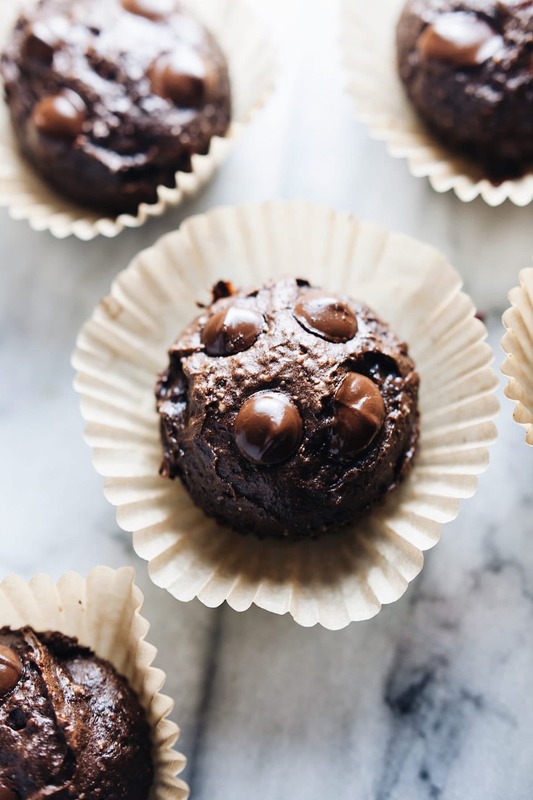 These fudge-y muffins are the real deal. They’re a mix between a muffin and a fudge-y brownie. So it’s the best of both worlds and are for all the chocolate lovers out there. I hope they fill up your heart and that you eat them as fast as we did… ? Preheat oven to 350F. Soak dates in hot water for 10 minutes for them to soften. Drain dates and place in food processor. Puree dates with coconut oil until a smooth paste texture. Transfer to electric mixing bowl. 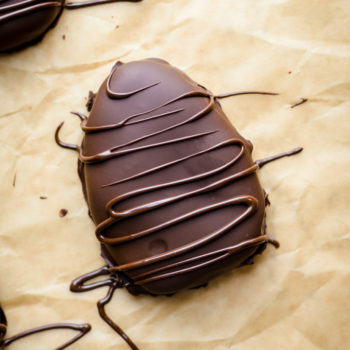 Melt 1/2 cup chocolate chips in microwave in 30 second increments. Add to electric mixing bowl with date paste, melted chocolate, nut butter, cocoa powder, vanilla, and eggs. Add 1/4 cup extra chocolate chips to batter and mix with rubber spatula. Line a muffin tin with muffin cups. Use an ice cream scoop or large spoon to evenly transfer batter to cups (batter should fill up 3/4 of the cup). Bake for 15 minutes. Let cool for 10 minutes. Refrigerator muffins in a sealed container to keep fudge-y. So why dates? Are they for flavor, or for texture? Hey Nate! So I use dates in this recipe for a “healthier” option than sugar. The dates give natural sweetness and moisture to this recipe!